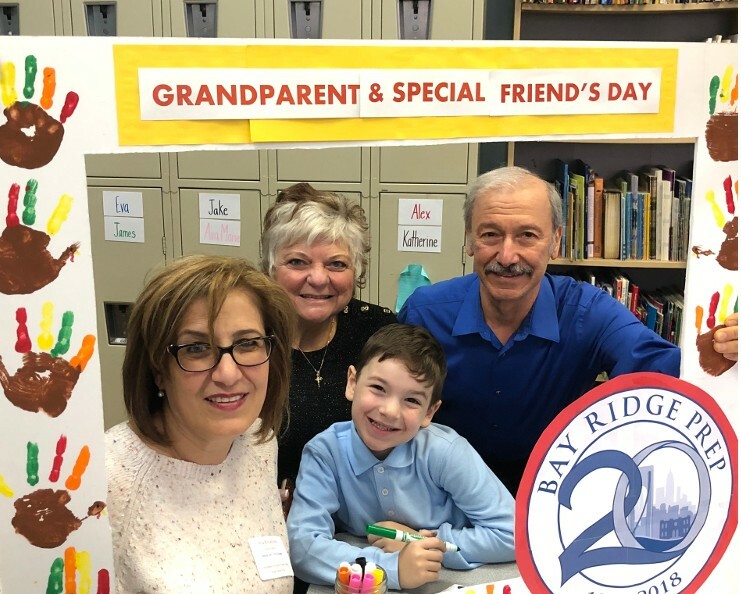 Students in Grades K-2 were treated to special visits from grandparents and special friends who traveled from near and far to spend time at Bay Ridge Prep on Monday, November 19. The Sixth Annual Grandparents & Special Friends Day welcomed guests into classrooms for the morning to participate in an art activity with students. Following the activity, the grandparents and special friends were treated to performances by the students. Among the guests this year were four cousins, four aunts, one great aunt, one uncle, two godmothers, 20 grandfathers, 28 grandmothers and one great grandmother. While some came from Brooklyn, Staten Island, New Jersey and Long Island, others guests came from as far away as Ithaca, Philadelphia, Maryland, Virginia and even across the ocean from England! Click here to view and download all the photos and videos from Grades K-2 Grandparents & Special Friends Day!